We know. 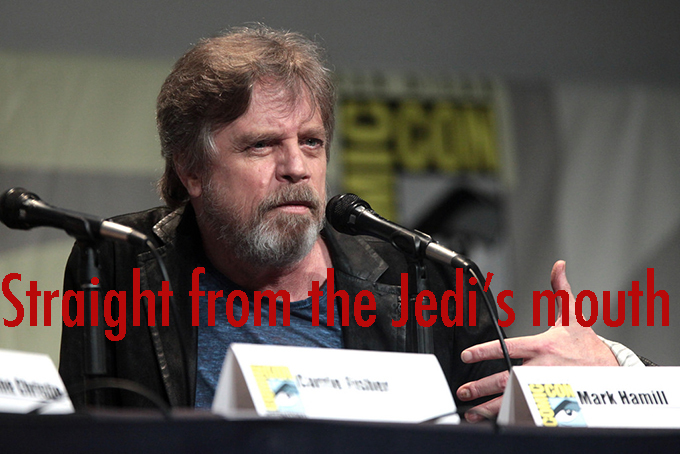 You love everything that has to do with Star Wars: The Force Awakens, and that includes Mark Hamill. But before you shell out the big bucks for that piece of memorabilia bearing Luke Skywalker’s signature, you might want to check its authenticity with the source itself: Mark Hamill (or Luke Skywalker, depending on your grasp on reality). Hamill has taken time over the last few days to either refute or validate the authenticity of his signature on autographed merchandise, responding individually to fans on Twitter (h/t Business Insider). You know, because he’s got nothing else going on right now. As for why he’s taking the time out of his no-doubt busy schedule wearing robes and hoods and contemplating The Force, Hamill says he just doesn’t want his fans to get screwed out of their money.